“Architektouren 2015” – Bavarian-wide Open House of new architecture, organized by the Bavarian Chamber of Architects, House FS in Munich-Lochhausen, 27-18 June 2015. “Architektouren 2014” – Bavarian-wide Open House of new architecture, organized by the Bavarian Chamber of Architects, Sports Facility in Munich-Perlach, 28-29 June 2014. “Aus allen Richtungen. Positionen junger Architekten im BDA” (“From All Directions. 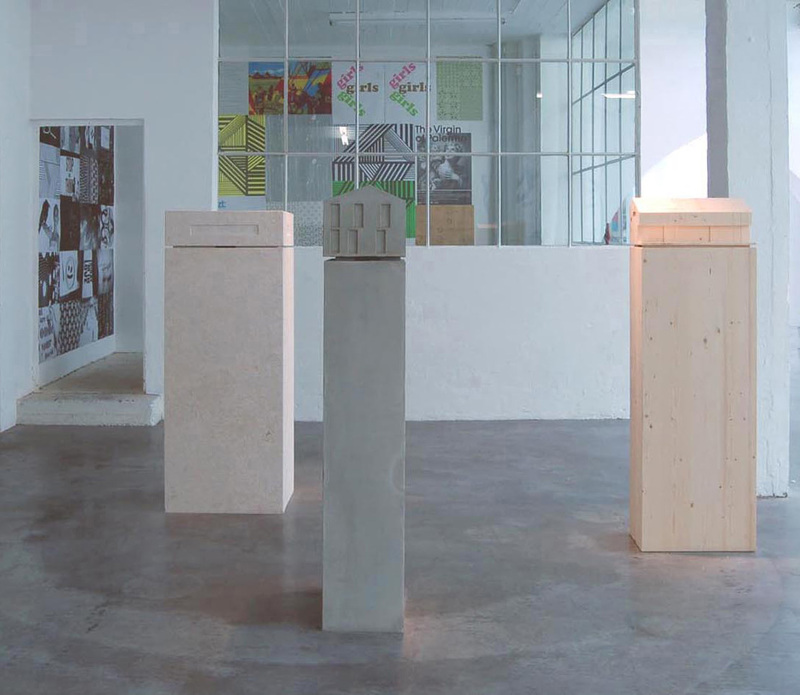 Young Architects’ Positions”), location: DAZ (German Architecture Center), Berlin, 31 May – 25 June 2013. “archidocuments” – exhibition in parallel to dOKUMENTA (13), location: architecture center KAZimKUBA, Kassel, 9 July – 16 September 2012. “AKJAA – Junge Architektinnen und Architekten im BDA” – exhibition within the “Initiative Architecture and Building Culture Germany <> Slovenia,” location: City Library – Mestna knjižnica Ljubljana, Kersnikova ulica 2, 1000 Ljubljana, 19 August – 12 September 2009. “Young Talent Award for Art, Applied Art, Photography, and Architecture” – exhibition organized by the City of Munich, location: Municipal Artgallery Lothringer 13, Munich, 24 April – 10 May 2009. “AKJAA – Junge Architektinnen und Architekten im BDA”– exhibition within the “Initiative Architecture and Building Culture Germany <> Slowenia,” location: Federal Ministry of Transport, Building and Urban Affairs, Berlin, 15 December 2008 – 15 January 2009. “Museum der Moderne auf dem Mönchsberg” – location: Rupertinum Salzburg, 21 July – 30 September 2001 (extended to 30 March 2002). “Debating Solar Orientation of Single-Family Housing 1920-1950,” 2017 SOLAR Conference, American Solar Energy Society, Denver, CO, 12 October 2017. “The Sun for All: Social Equity and the Debate on Best Solar Orientation of High Modernist Housing,” EAAE/ARCC Conference, Lisbon, Portugal, 16 June 2016. “Living with the Sun – A Dogma of High Modernism,” American Society for Environmental History ASEH 2016 Conference, Seattle, WA, 2 April 2016. “Solar Buildings in the 1920s,” SOLAR 2015 Conference (American Solar Energy Society ASES, University Park (Penn State), 28 July 2015. “The Suns of Modernism,” American Society for Environmental History ASEH 2015 Conference, Washington DC, 21 March 2015. “Integrative Design To Deploy PV Systems,” Panel presentation (90 minutes) at the Solar 2013 Conference in Baltimore, MA, 18. April 2013. Co-panelists: Jeffrey Brownson, Lisa Iulo, Ulrike Passe (Iowa State University), Byron Woodman (Mid Atlantic Renewable Energy Association, Breinigsville, PA). www.ases.org/detailed-program/photovoltaics-pv-track/integrative-design-to-deploy-pv-systems. “Advancing Sustainability in Early Design Thinking: Best Practices Learned from Innovative Classes and Studios,” Panel presentation (90 min) at the National Conference of the Beginning Design Student NCBGS, Penn State, 31 March 2012. Co-presenters: Katz, Menter, Semprini, Simione.